The new Divi Builder brings complete power to the Post Editor. Note: If you are using the latest version of WordPress (5.0) that introduces the new Block Editor (a.k.a Gutenberg), in order to use the Backend Builder you will need to follow a few easy steps to enable the Classic WordPress Editor and the Divi Backend Builder. Check out this article to learn more. 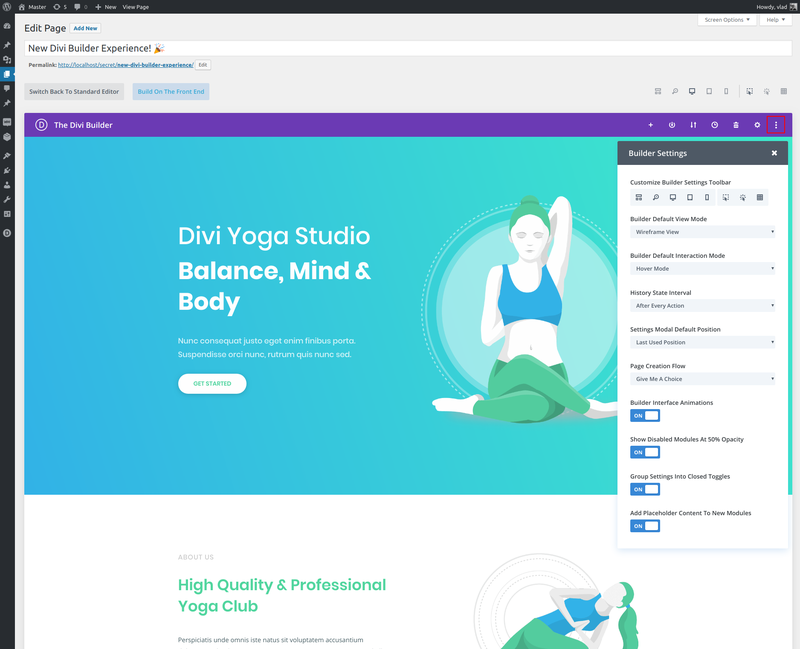 The new Divi Builder experience brings a whole new level of functionality to the Divi Builder in the back end enhancing the speed and productivity of design and development. With this update, you will have access to all the powerful features of the Visual Builder directly from your WordPress Admin. 1- From the Theme Options panel by going to Divi > Theme Options > Builder > Advanced > Enable The Latest Divi Builder Experience. 2- Create or open an existing page and at the bottom of the Classic Builder interface, you can click on the Switch To The New Divi Builder button to enable the new Divi Builder. 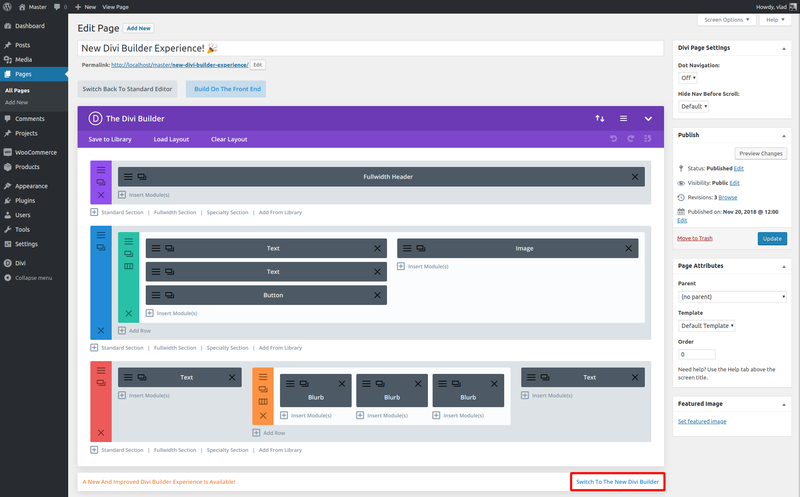 You can switch back to the Classic Builder at any time by clicking on the Switch Back To Classic Divi Builder which is also located at the bottom of the builder interface. If you also updated to the latest version of WordPress (5.0) that introduces the new Block Editor (a.k.a Gutenberg), in order to use the Backend Builder you will need to follow a few easy steps to enable the Classic WordPress Editor and the Divi Backend Builder. Check out this article to learn more. New settings and new view modes to speed up the page building process are now available. Switch between Wireframe, Desktop, Tablet, Mobile and, Zoom Out view modes easily with just one click. New Builder Settings that will allow you to customize your Builder Experience. Copy & Paste entire modules and module styles between your pages. 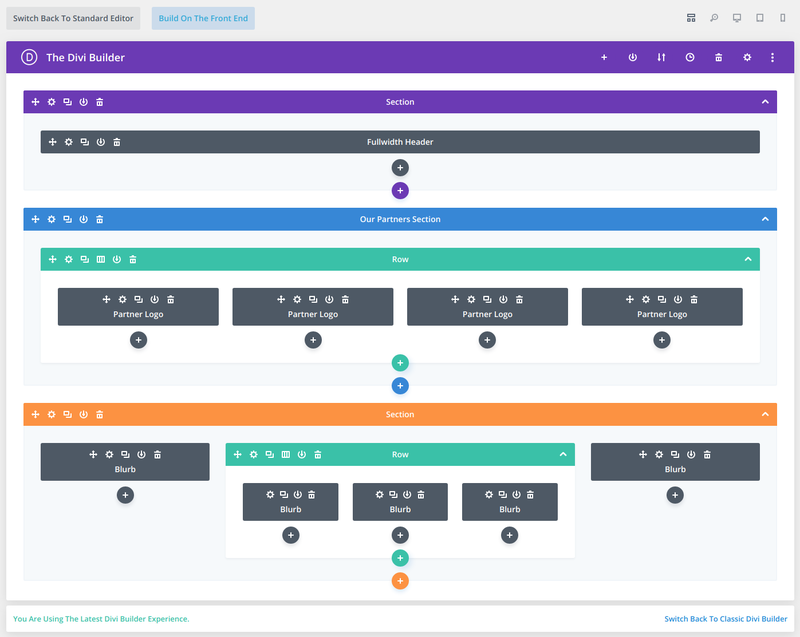 This update is incredibly important for so many reasons, the most important being that it unifies the Backend Builder and Visual Builder experience and code base. This means that Divi users will not have to choose between two disparate experiences, but instead can feel comfortable building within the post editor and on the front end alike. This also means that our development team can focus on a single code base and iterate more quickly and efficiently. This will result in adding new features twice as fast and dealing with half as many bugs along the way. This is a critical transition for the community and for our team.